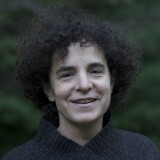 A 90min workshop with Kathy Simon, Ph.D. — $30-50 sliding scale. There’s a built-in power dynamic in parenting. In this workshop, through a presentation and live role plays, we’ll explore some of the basics that can help everyone spend less time fighting and more time enjoying the family. Victor Lee Lewis, M.A., is the Founder and Director of the Radical Resilience Institute, and Radical Resilience Coaching and Consulting. He is a Neuro-Linguistic Programing Master (NLP) Practitioner, an NLP Health Practitioner, an EFT (Emotional Freedom Techniques) Advanced Practitioner, an AAMET-certifed EFT Trainer, a certified NLP hypnotherapist and a resilient and thriving trauma survivor. Please sign up to our mailing list so we can keep you updated of our latest offering!